The longer my hair gets, the more difficult it is to reign in. My hair is just past my shoulders, but it seems to be a tangled mess lately! I blame it on constantly chasing my two little boys all day. Lately my hair is also in need of some extra TLC. It seems that the summer sun and time spent at the pool has left my hair in need of a good conditioner. My normal jojoba oil is a little too heavy for the summer, so I wanted to make myself a light, fresh, conditioning spray that really works. One of my favorite summer beauty staples is Aloe Vera Gel. 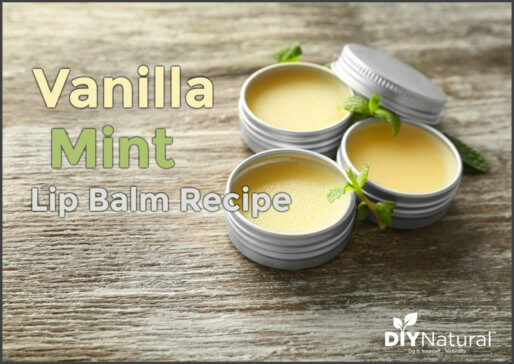 It’s such a great moisturizer and can be used in so many easy DIY beauty products. Plus it is ultra soothing to summer skin. Did you also know that Aloe Vera Gel is a wonderful hair conditioner? It is slightly thicker than Aloe Vera Juice and is very easily sprayed or combed through hair. Aloe Vera contains many vitamins, minerals and amino acids necessary for skin cells to regenerate and repair themselves. If you are looking for moisture, then look no further! Since Aloe Vera is a water-based substance, it won’t mix with oil unless you have some kind of emulsifying agent. This recipe is totally water-based, so there is no need for that. Another often forgotten water-based ingredient is hydrosols. 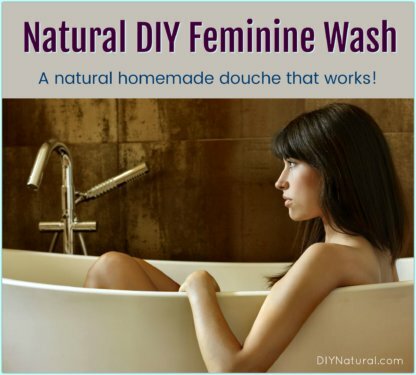 Hydrosols are the by-products of essential oil production, and work great in DIY leave in conditioner recipes. Some call them aromatic waters or flower waters. While they are not as potent as essential oils, hydrosols can be wonderful for gentle skincare or cleaning. Two of my favorite hydrosols are Roman Chamomile and Helichrysum. Both have an earthy aroma, but Roman Chamomile is slightly more floral than Helichrysum. Roman Chamomile hydrosol is a lovely gentle conditioner. It is very soothing and I often reach for it if my little ones have a summer rash or insect bite. It works very well in this DIY hair conditioner to soothe scalp irritation and tangled hair. I probably reach for Helichrysum hydrosol the most. It is my go-to facial toner and always helps soothe my skin after a sunburn. While the smell is quite earthy and even a little hay-like, I never mind it. I added it to this hair conditioner spray because I love the way it helps soothe my scalp. It also seems to leave my hair with a nice shine. These three simple ingredients make one amazing DIY leave in conditioner spray! Just combine, shake, and your hair will thank you. 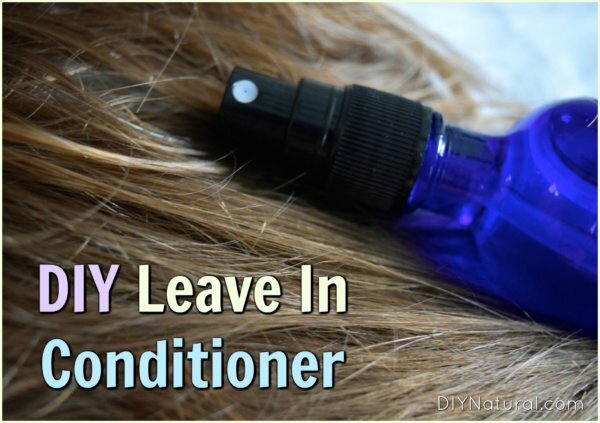 My favorite DIYs are multi-purpose ones, and this DIY leave in conditioner is no exception. It can be used as a detangling spray or even to give hair some summery beach waves. 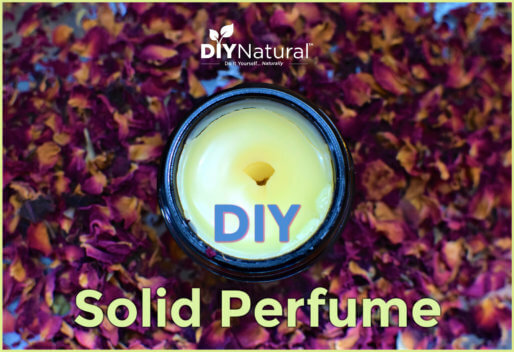 I also bring this DIY along to the beach for a soothing spritz when it is super hot! I put it in our cooler to keep it cool and take it out as needed. It is always so refreshing! Plus, by using it for multiple purposes I ensure that this DIY leave in conditioner spray gets used up before it has a chance to expire. Store this unpreserved liquid in the refrigerator and use it up relatively quickly. This easy DIY leave in conditioner spray can also be used as a detangler for hair. Simply spray on dry or wet hair and comb through. Simple as that! Place 4-ounce spray bottle on digital kitchen scale. Carefully measure in aloe vera gel, helichrysum hydrosol, and Roman chamomile hydrosol. Finally, store in the refrigerator and use within two weeks. After washing hair, spray leave in conditioner on wet hair. Comb through and leave in. If this recipe is too large for you, you can always reduce it by half. Where do it get your aloe gel?